“GET UP, STAND UP!“ is the title of a wonderful exhibition held at the Millennium Iconoclast Museum of Art in Brussels, featuring numerous posters of the 1968-1973 civil protests across the West. 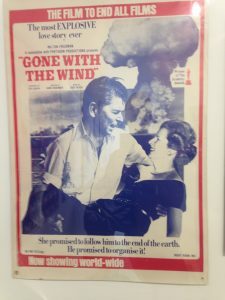 “Gone with the Wind, the film to end all films”, showing Reagan and Thatcher, a criticism of the atomic bomb. 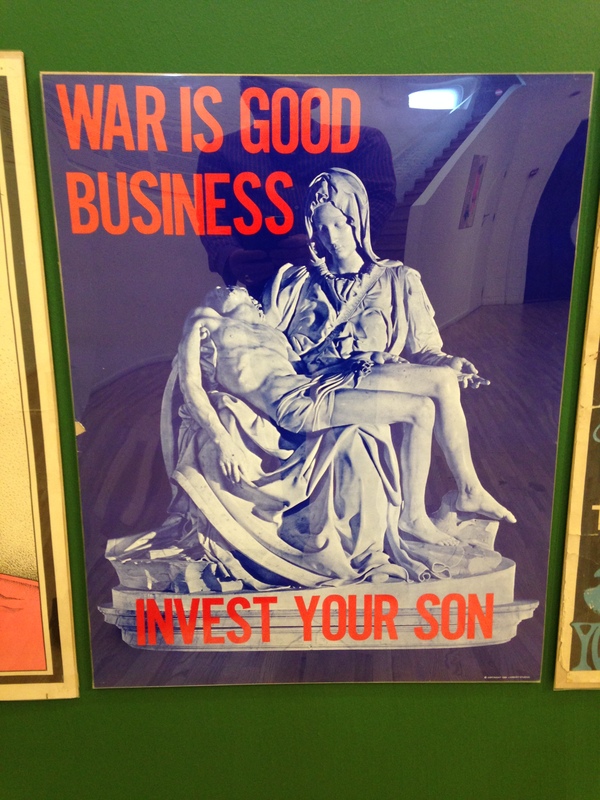 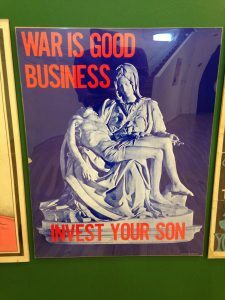 “War is good business – invest your son”, a criticism of war. 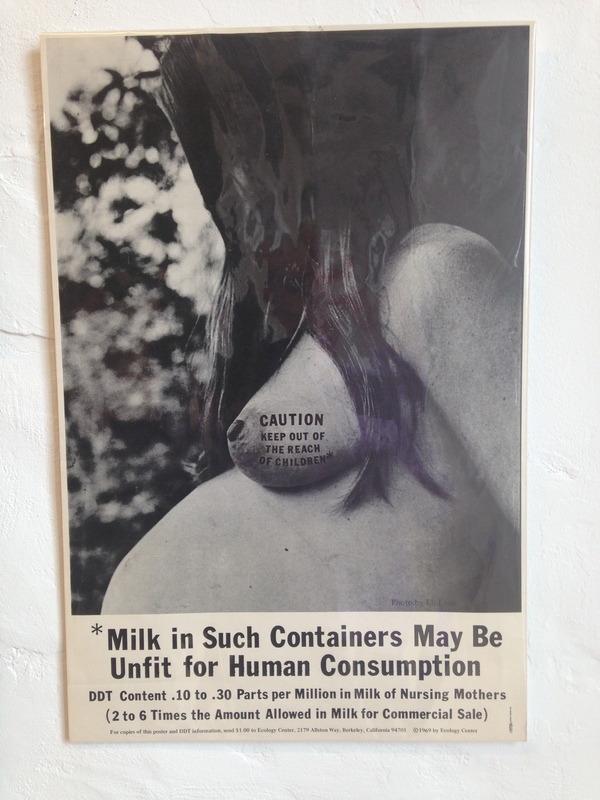 “Milk in such containers may be unfit for human consumption”, a criticism of DDT. 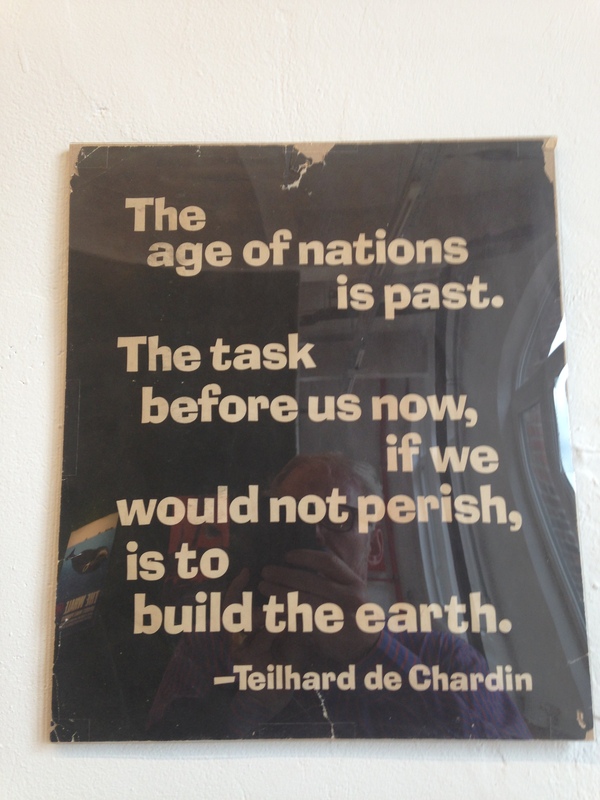 “The age of nations is past, the task before us now, if we would not perish, is to build the earth.” —Teilhard de Chardin, a criticism of nationalism. 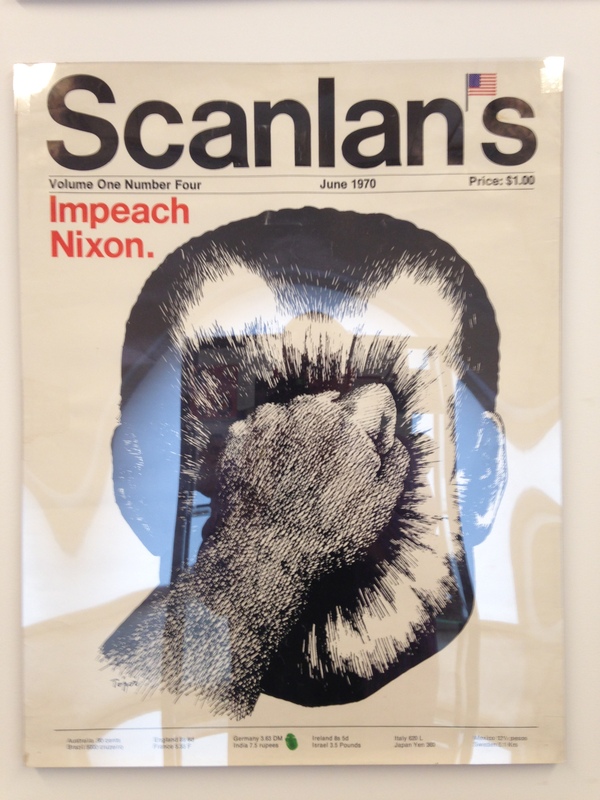 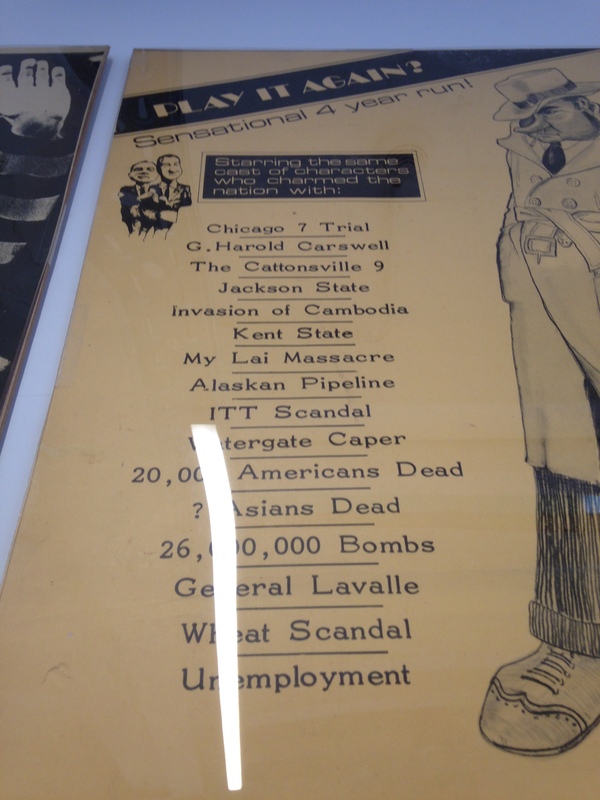 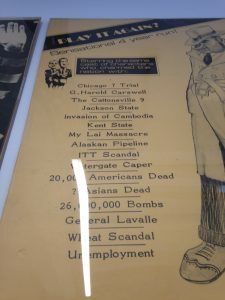 A Roland Topor graphic on censorship used by Scanlan’s, criticism of Nixon. 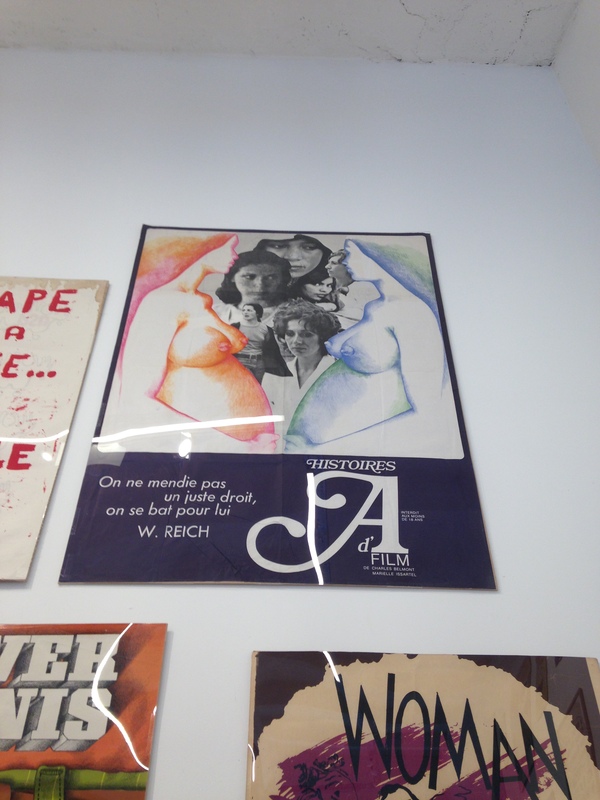 Histoires d’A, On ne mendie pas un juste droit, on se bat pour lui (W. Reich), criticism of anticonception. “Jesus was an only child”, criticism of anticonception. 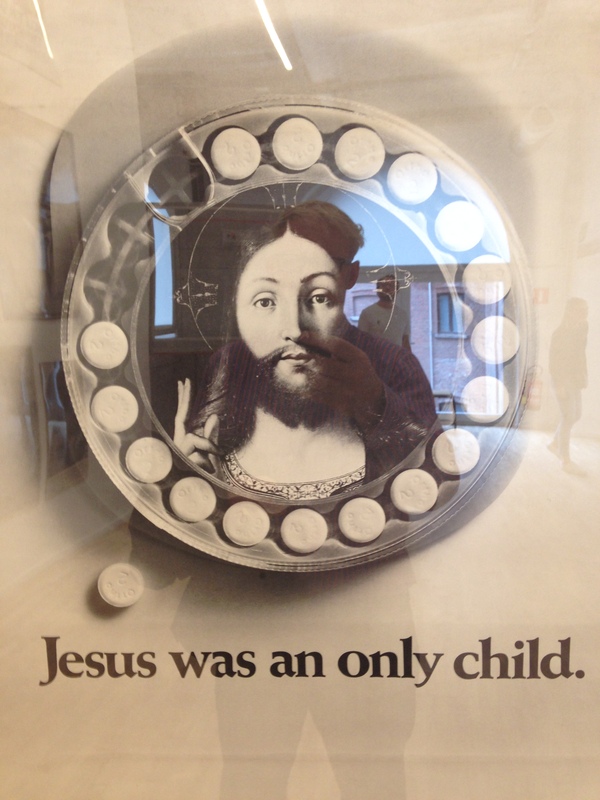 Correction: Jesus was apparently not an only child, he had brothers. 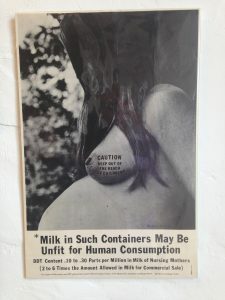 This entry was posted in advertising, art, theory and tagged 1960s, 1968, counterculture, protest on June 24, 2018 by jahsonic.